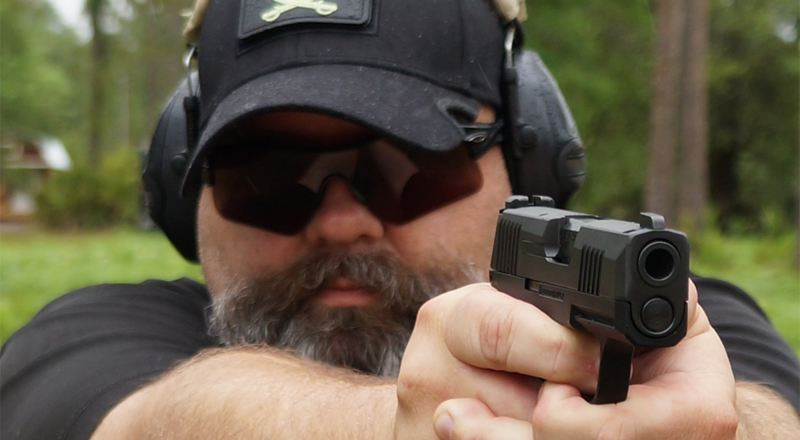 One of the hottest trends in the firearms industry for the past decade has centered around building the perfect firearm for conceal and carry. 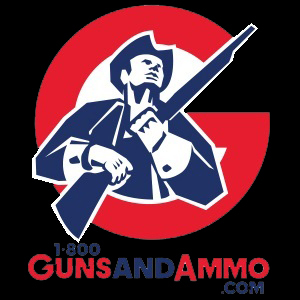 Manufacturers have long battled to produce a reliable concealed firearm within certain specific parameters. The pistol must balance reliability, magazine capacity, and size, all the while be easy to conceal. Unfortunately, optimal carry firearms have up until recently been limited by available materials, technology and innovative design. As advancements in firearms manufacturing have progressed incrementally over the years, so have the concealed carry pistols. As an alternative option to having to dress around a full-size firearm in the 1980’s and 90’s, innovative companies created heavy metal framed “pocket” pistols such as the Beretta Tomcat .32 and the Colt Mustang .380. With the dawn of a new millennium, the polymer world stepped up to create a lighter, more viable solution. Kel-Tec had early success with their model P32 in .32 caliber until Ruger’s LCP .380 pistol stole the attention with a medium capacity, lightweight carry option. The next wave of concealed carry pistols came from Smith & Wesson with their Shield and Bodyguard models. S&W would control the market by meeting shooter’s needs for size, capacity and realistic caliber at the time. After years of sitting on the sidelines watching sales of these small frame pistols sky rocket, Glock tossed their hat in the ring with the introduction of the model 42 in .380. This new venture was met with great success. A year later, Glock saw even more success with the slightly larger model 43 in 9mm. While all these pistols were compact and performed well, they all sacrificed capacity compared to their larger framed counterparts. Since then, both Glock and S&W have led the compact, concealed carry pistol market…until perhaps now. Announced at this year’s SHOT Show, SIG Sauer unveiled what they consider the future of concealed carry with their new compact, striker-fired model SIG P365. 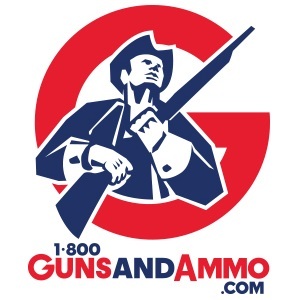 SIG has long been known as the “professionals choice” among the industry due to their quality and great reputation for innovation, reliability and accuracy. 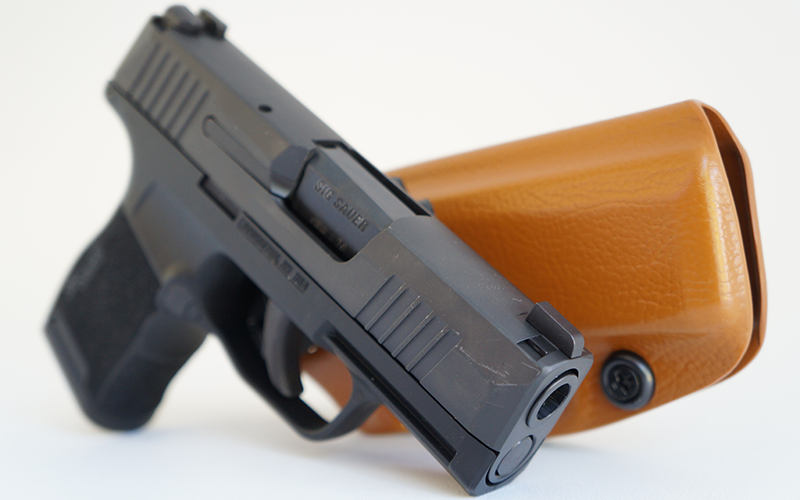 With SIG’s push over the past three years to be a shooter’s “one stop shopping experience” from firearms, suppressors, ammo, apparel, and holsters, it was a bit of a surprise to see the diminutive model P365 sitting on the display wall. Like the model number eludes to, the 365 was designed to be carried all year round regardless of temperature and attire. Chambered in 9mm, a widely accepted defensive caliber, this pistol is amazingly small considering it has a 10 + 1 round capacity. As the SIG representative explained during its debut, the model P365 was designed from the ground up around the small double stack magazine. Its tapered shape ensures the magazine’s reliably and performance. The pistol’s core is a serialized steel frame dropped into a polymer shell with a size rivals most competitor .380 platforms. The steel slides are finished with a durable Nitron coating and topped with SIG’s famous X-Ray sights often seen on their top models. The finished product offers the perfect concealable size for pocket or inside the waistband carry. Better yet, it has a higher capacity and larger caliber than most in the industry. Before leaving SHOT SHOW, I made plans to have a model P365 shipped for T&E as soon as possible for review. Although it had only been a few short months since I first saw the SIG P365, the gun appeared smaller than I remembered as I removed it from the box. With a width of approximately 1” and overall length of 5.8”, this gun was clearly smaller than the Glock model 43 I usually carry. Shipped with the pistol were two 10 round magazines, one flush fit and the other with a pinky extension. I noticed since I have small to medium sized hands, the flush fit magazine allowed me to maintain a firm grip on the pistol. 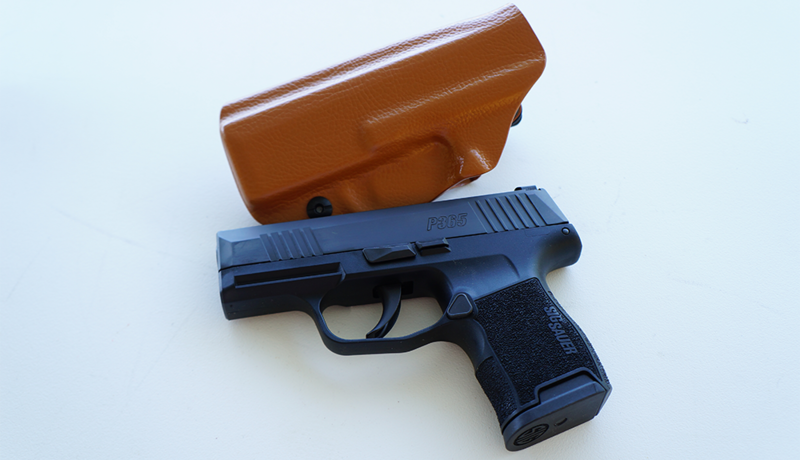 According to the specifications from SIG, the pistol weight of 17.8 ounces doesn’t leave much mass to absorb recoil. I was eager to see how the extension would apply to recoil management on the range with this lightweight package. One of the first notables on this pistol was the low profile reversible mag release. As an ambidextrous shooter, I was immediately interested to see if the release would be clear of any incidental finger contact. Additionally, I noted the high trigger guard undercuts combined with the sweeping beaver-tail features allowed for a deep grip on the pistol. All the edges of the pistol were rounded out to produce a “snag-free” profile. Finally, SIG included a proprietary accessory rail for additional SIG branded lights and laser our team were told to be on the look out for by the next SHOT SHOW. Excited to get some time on the range with the P365, I set up a time to meet fellow Swanson Media Group gun writers, Craig Reinolds and Clint Steele. Like me, both these gentlemen carry a concealed firearm daily as if it were a second religion and have done so for decades. Soon after the pistol arrived for review, the three of us were on the range enjoying the beautiful weather and loading up magazines ready to get started. Working on assorted steel targets ranging from 10 x 12″ torso to 6” round plates, each shooter took turns running the SIG P365 through its paces. Moving from five yards out to 28 yards, the P365 scored solid hits using a verity of practice and carry ammunition. The three main loads used for the bulk of the testing were SIG V-Crown 124 grain Jacketed Hollow Points, SIG 124 grain Full Metal Jacket and Fancy Brass Co’s 115 Grain Full Metal Jacket ammunition. 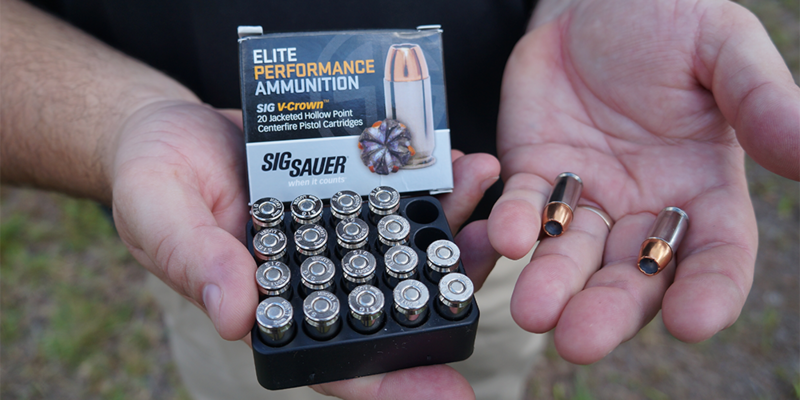 According to SIG representatives, their ammunition and firearms are constructed to optimize performance and reliability, so it made sense to run many of the tests with their ammo. The Fancy Brass Co ammo was chosen due to its great results in several firearms I have previously tested. Of the three, Fancy Brass Co ammunition is slightly more affordable and easier to find locally than SIG. Two points of interest were noted by Clint Steele. The first was his initial observation was the sights seemed blurry to his eyes. Craig wore his prescription glasses but did not feel the same way. Personally, I enjoyed the bright X-Ray sights. The fact they were steel and not plastic was another huge plus for durability. The second item pointed out was that maybe SIG shrunk the 9mm pistol a little TOO well. Craig and I are both medium sized guys while Clint is a broader, larger build with large hands. The SIG P365 sank into Clint’s hands and perhaps subconsciously gave him the unsafe feeling of blasting a finger at some point. However, this did not stop Clint from running the P365 at typical defensive distances like a race horse. From 5 to 15 yards on torso sized steel targets, Clint ran the pistol quickly and dead on target. In my turn with the pistol, I switched back and forth from strong to weak hand. My concerns about the magazine release were well put to rest while doing so. Due to the deep undercut on the P365 frame, my fingers were not even close to accidently engaging the mag release button. Although I did wish the rest of the SIG’s controls were a bit more ambidextrous, there was no issues at all running the pistol for testing. Not only were the controls easy to reach, they offered ease in operation even while wearing tactical gloves. Often designers shrink the controls on small pistols as well, and this makes it very difficult to operate for those using gloves or those of us like me, who have short, fat sausage fingers. This was always a drawback when I carried the Ruger LCP. I believe the designers of the P365 must have went down a list of complaints about firearms like the LCP in order to build the P365, and they addressed all those inadequacies in the P365 design. Overall, my experience with the SIG P365 was very positive. While reviewing this pistol, our shooters had to keep in mind what the purpose of the P365 was. For those not wishing to carry a medium to large frame pistol with a 15 – 17 round capacity, I believe SIG Sauer has found a reasonable balance between size, controllability and capacity. Although a bit snappy in the hands when shooting, everyone who has shot the P365 during our T&E period as commented on how controllable it was to shoot. Typically, most who are looking for a gun this size will be smaller to medium frame people who may not be able to conceal a medium to large size gun. As Clint pointed out on the range, the gun seems to disappear into his larger hands. For me personally, the daily dress attire living in Florida ranges from khaki pants and polo on the range or shorts and t-shirts chasing two toddlers. Often, I am able to carry a medium frame Glock model 19 or smaller model 43. Unfortunately, there are several days a month in which having to constantly pick up my kids or have them tug on my shirt with a shorter style tail in which may expose my gun. The P365 offers a smaller frame to fit in a deep pocket or appendix carry holster with a good compromise in 9mm capacity. I would even go far as to say due to the small size of the P365, it would make a great backup gun for when you do wish to carry a larger concealed pistol. During the testing period, I carried the P365 in a “inside the waistband” holster built by John Phillips of Survivor Creek Tactical. For those who regularly follow our reviews, John is known in certain circles as “The King of Kydex” due to his high-quality builds and innovative custom designs. 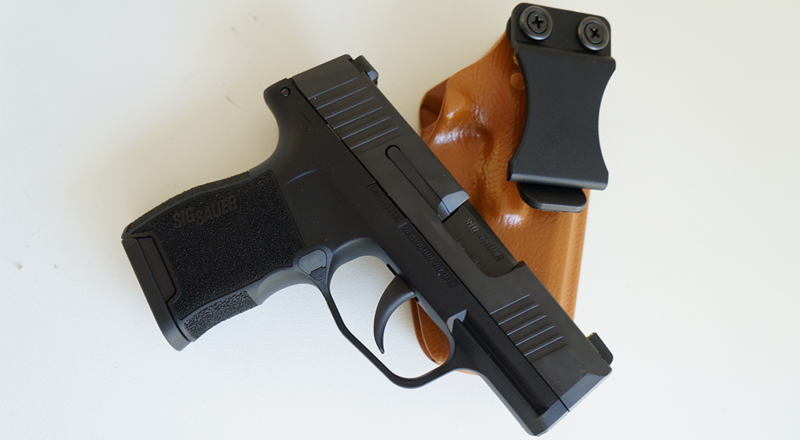 The SIG P365 holster was nothing less than his usual excellence. The P365 rode comfortably in an adjustable height carry with my preferred “zero cant.” I could access the pistol quickly and cleanly without having any issues with “printing” through my t-shirts or polos shirts I wear daily. 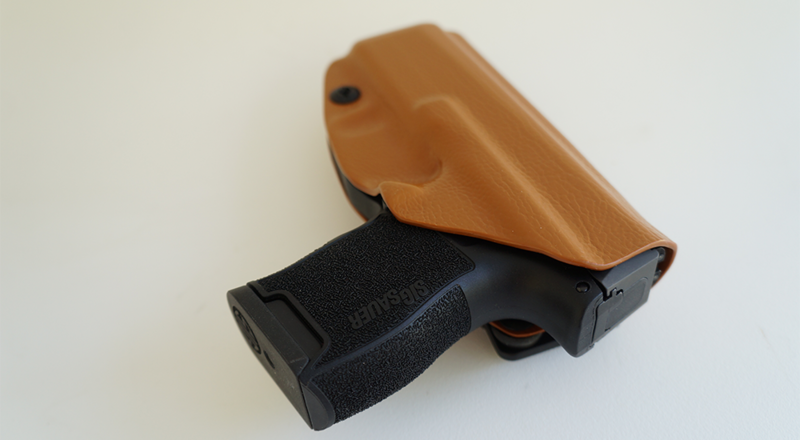 The unique leather looking brown Kydex held up well on the range and allowed for easy re-holstering. 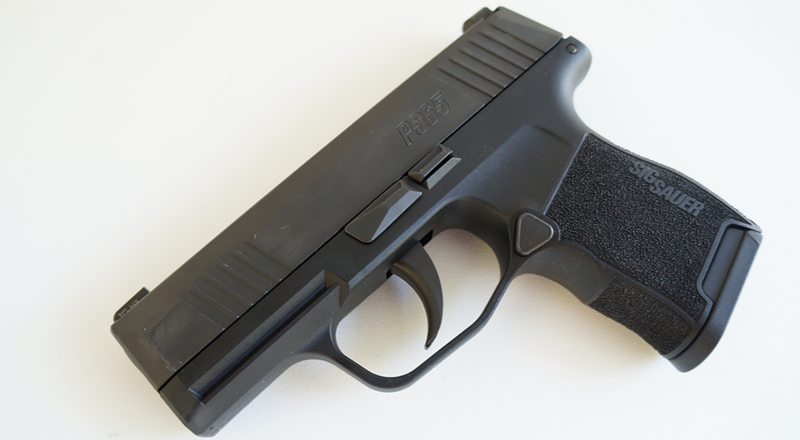 To close, I believe the P365 will take over the top spot as SIG’s flagship CCW pistol very soon.